Although Ingber had recorded with Beefheart in 1969 (see ‘Alley Cat’ on The Lost Episodes CD) he was not called into the Magic Band when Jeff Cotton left. The Decals album was recorded with just the one guitarist. However when it came to the 1970 tour he was enlisted to support Bill Harkleroad. For the next two years he was in and out of the band, recorded The Spotlight Kid (Don giving him the space to solo on ‘Alice In Blunderland’), and returned again for the Knebworth/Roxy shows in July 1975 and the tour of the US and Europe later that year. The rather strange promo video for the Decals album apparently came from ideas suggested by him. He is also listed as co-writer on some of the Bluejeans album songs. Elliott is a blues officiando with a large record collection. Often being portrayed as an eccentric who has taken too many drugs he is an accomplished guitarist being able to play almost any style required of him. 2000 Japanese CD The The The The on Dreamsville YDCD-0060. A collection of his private recordings from late ’60s to mid ’90s. Three of fourteen songs (A Bit Blue, We Don’t Feed No Livestock Here & Gingerwail) were previously released in Grandmothers’ albums (see below), but this time they are remastered. 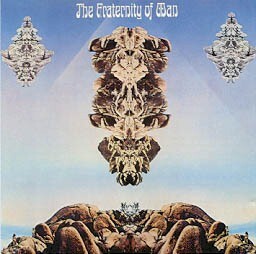 The Fraternity of Man were a band led by Elliot Ingber after leaving Zappa’s Mothers of Invention. The band consisted of Elliot Ingber – guitar, Richie Hayward – drums & vocals, Martin Kibbee – bass, Warren Klein – guitar & sitar, Lawrence “Stash” Wagner – guitar & vocals. They’re probably mostly remembered for their song ‘Don’t Bogart Me’ included in the soundtrack to Easy Rider (1969). 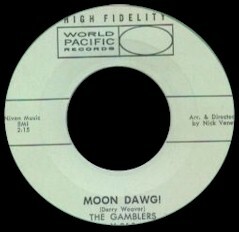 Later called ‘Don’t Bogart That Joint’ recorded & performed by Little Feat. Get In On, the second album by the band with Ingber, also included Lowell George on guitar and Bill Payne on keyboards. Another band around at this time called The Factory included Lowell George – guitar & vocals, Richie Hayward – drums & vocals, Martin Kibbee – bass. They recorded for Zappa who produced some of their material. One song called ‘Lightning Rod Man’ featured a gruff-voiced singer and turned up erroneously on several Beefheart bootlegs purporting to be the Captain himself; on one live Beefheart concert tape I’ve heard someone in the audience actually calling out for this song! Elliot contributes guitar on the following Little Feat albums. 1969 US Vinyl Hallelujah on Liberty Records LST 7618. Michele O’Malley was the vocalist on this rare West-Coast psych folk album. Ingber plays guitar. Lowell George is also involved. 1969 US Vinyl Saturn Rings on ABC Records ABCS-684. Peter Ivers was a singer/songwriter, performance artist who wrote “In Heaven (The Lady in the Radiator Song)” from David Lynch’s film ‘Eraserhead’. He hosted the TV show ‘New Wave Theatre’ wearing outlandish clothing and spouting intellectual Zen Buddhist philosophy in between the punk bands, asking them questions like “What is the meaning of life?”. He was beaten to death in his L.A. home. The killer has never been caught. 1974 US Vinyl Terminal Love on Warner BS 2804. This was Peter Ivers second album, an odd mixture of high pitched voices, unusual songs structures and lyrics. The album was co-produced by Ivers and the free jazz bass player Buell Neidlinger (who auditioned for the 1975 Magic Band). Elliot Ingber plays on some tracks. Elliot was listed as Mercury Flyer on this album. The band was formed by Michael Rainbow Neal (ex Seeds) with Mars Bonfire (guitar, ex-Steppenwolf), and Ed Cassidy (ex-Spirit, drums) plus Ed Cassidy’s son, Mike ‘Thundercloud Heartbeat’ Cassidy also on drums on some tracks. 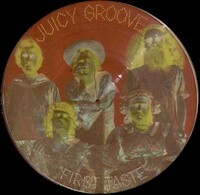 1978 US Vinyl First Taste on Payola Records. 1980 US The Grandmothers on Rhino Records. Ingber plays guitar and contributes two songs ‘A Bit Blue’ and ‘We Don’t Feed No Livestock Here’ although the recordings date from the early 70s. 1968 movie, “i love you alice b Toklas” starring peter sellers has the winged eel in a non speaking part. he’s one of the freaks that overrun sellers’ apartment near the end of the movie.